The lear for the receipt (recipe) To boyl a Breast of Veal, is made with a sliced Nutmeg. 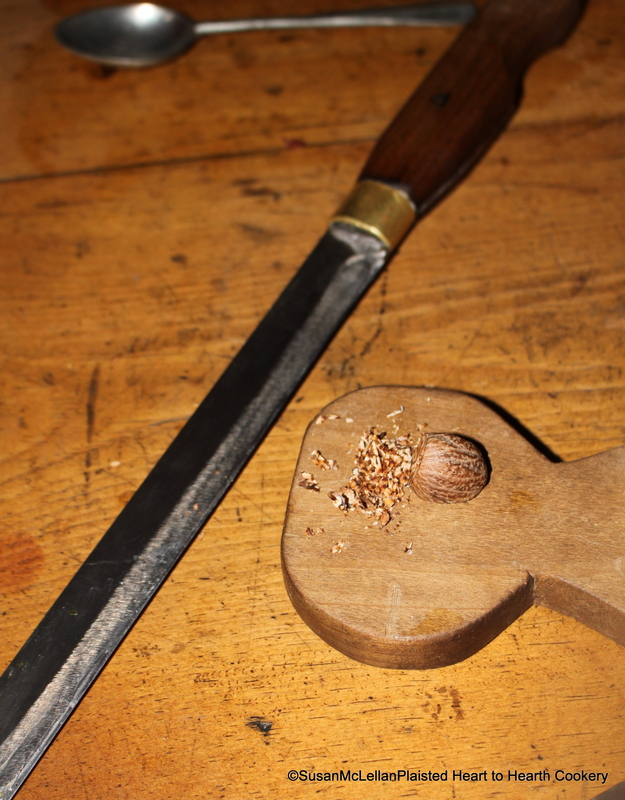 This picture shows the answer to the question of how to slice a nutmeg. You just need a very sharp knife and wood surface. As one uses the slicing action, the result is not perfect slices but pieces of nutmeg.